The ex-First Minister initiated the case over the handling of sexual harassment allegations. Hearing: Salmond is taking court action against the Scottish Government. 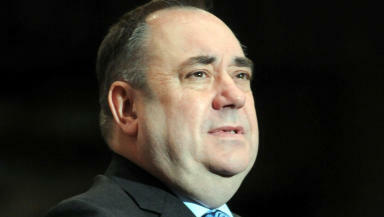 A court hearing will take place on Tuesday in Alex Salmond's legal challenge against the Scottish Government. Lawyers for the former First Minister will appear at the Court of Session in Edinburgh for a procedural hearing in the civil action. Salmond is taking court action against the Scottish Government to contest the complaints process activated against him in relation to sexual harassment allegations. Two allegations, which he strongly denies, were made in January. The procedural hearing fixed for November 6 is listed to call before judge Lord Pentland. A spokesman for Salmond said: "Tuesday's hearing is procedural. "It is to ensure that parties are prepared for the substantive judicial review, which takes place over four days in January. "We have no comment to make beyond that Alex is looking forward to the opportunity to have his full case stated and we will do our talking before the Court of Session in January." A Scottish Government spokesman said: "The Scottish Government received two complaints in January in relation to Alex Salmond which could not be ignored or swept under the carpet. "We are confident our processes are legally sound and we will vigorously defend our position. "There are a number of inaccuracies in some of the public statements that have been made and these will be addressed in court. "For legal reasons we can make no further comment on the issues relating to Mr Salmond at this time."